Fukushima is the only place in the world to have experienced an earthquake, tsunami, and nuclear disaster at the same time, and while it continues to face various complicated issues and suffer from misinformation, many people are continuing to work towards a hopeful future despite the difficult conditions. This tour will examine what is going on in Fukushima, eight years after the Great East Japan Earthquake and the nuclear disaster, and the people who continue to work hard towards recovery. The entire village of Katsurao was evacuated after the nuclear disaster, but in June 2016, the evacuation order was lifted for the majority of the region. With whether or not residents will return an issue, there is an initiative to encourage residents to return and help recovery of agriculture in the village through the cultivation of moth orchids (kochoran), and in July 2018, shipments of these orchids to the Tokyo area began. 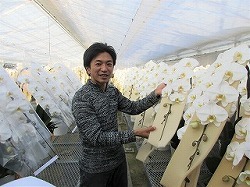 The orchids are being grown by Katsurao Kochoran, a company established by local farmers and a business in Tokyo in 2017. Flowers are less affected by negative perceptions of Fukushima, and women and seniors are able to safely help in growing them. As a symbol of hope for recovery, the orchids are named Hope White orchids, and 48,000 flowers are expected to be delivered annually. Mr. Hirosumi Sugishita wanted to help with the recovery of his hometown and quit his previous job to help start Katsurao Kochoran, learning skills to cultivate orchids and acquiring the necessary certifications. Mr. Sugishita says he wants to expand the cultivation of orchids and help contribute to the recovery of agriculture in the village. The tour will visit a greenhouse where approximately 10,000 orchids are in bloom, awaiting delivery, and speak with Mr. Sugishita. Before the disaster, Mr. Tetsuji Sakuma had 130 dairy cows and shipped 2,700 liters of milk daily, but when the village was ordered evacuated he had to give up all his cows. He nonetheless chose to work towards starting up his dairy farm again. In June 2016, the evacuation order was lifted for most of Katsurao, and in December 2017 restrictions on shipping raw milk from there were lifted, so Mr. Sakuma returned to the village in April 2018. Approximately 90% of Mr. Sakuma’s farmland is still designated as a Difficult-to-Return zone, and being unable to use his composting center and storehouse made restarting his business more difficult, but in September 2018 he managed to purchase eight dairy cows, and for the first time in over seven years he once again had cows on his farm. After confirming the safety of the milk with testing, he began shipping milk again on January 11, 2019. 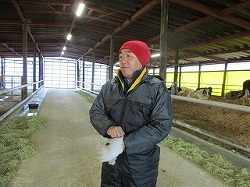 Currently, he has 40 dairy cows, and is planning to have 300 cows in the future, more than he had before the disaster. The tour will visit Sakuma Farm, and hear about his efforts to restart his dairy business since the nuclear disaster, and his plans for the future. 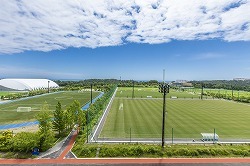 The tour will visit J Village, which has made a new start as a symbol of the recovery, and see the natural grass fields and all-weather training ground. 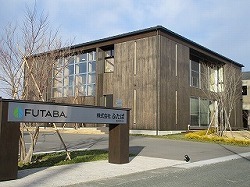 Established as a surveying company, Futaba is involved in environmental surveys, geospatial surveys, design, and consulting both in Japan and overseas. 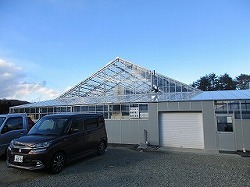 The company had to evacuate to Koriyama after the tsunami and nuclear disaster due to the Great East Japan Earthquake, but in August 2017 they rebuilt their head office in Tomioka. 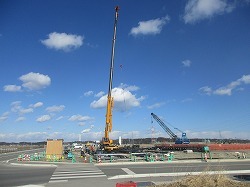 In addition to supporting the recovery of Fukushima with construction consulting and surveying using cutting-edge technology, Futaba is also involved in ODA projects overseas in order to repay the support provided from around the world after the disaster. Using their advanced surveying techniques, the company created 3D data of a cherry tree avenue known as the “Sakura Tunnel,” located in Tomioka’s Yo no Mori district. The majority of this area, which was once a popular tourist attraction, is still designated as a Difficult-to-Return zone, and closed to visitors. This 3D data of the symbolic heart of the town allows evacuated residents and others to experience the cherry tree avenue in VR, helping them to maintain their connection to Tomioka. The detailed simulation used drones and 3D laser scanners to reproduce everything down to the last petal. The tour will hear from Futaba’s president, Mr. Shubun Endo, about the company’s efforts since the disaster and its initiatives to help the recovery of Fukushima, and have the opportunity to experience the Yo no Mori cherry tree avenue in VR. 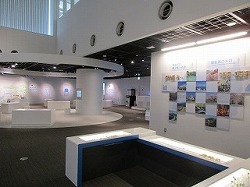 Commutan Fukushima, the information and communication building of the Fukushima Prefectural Centre for Environmental Creation, is a facility that allows visitors to learn about Fukushima’s current environment and its progress in recovery from the nuclear disaster, as well as learning about what radiation is. With interactive exhibits and a dome theater, many people visit from both Japan and abroad, including many elementary school students from Fukushima. There were approximately 100,000 visitors to Commutan Fukushima in 2017. 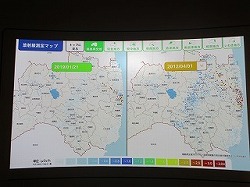 In addition to a basic explanation of radiation, and an exhibit in which radiation levels in Fukushima from immediately after the earthquake can be compared to levels today in real time, there will be a briefing about the state of recovery throughout Fukushima Prefecture as a whole. The Interim Storage Facility is a national facility for the safe and intensive storage of contaminated soil and waste generated by the decontamination process, until its final disposal. The ISF is being made in an area that is approximately 8 kilometers long north to south and 16 square kilometers, surrounding the Fukushima Daiichi Nuclear Power Station and including the villages of Okuma and Futaba. With land continuing to be acquired for the ISF and construction still ongoing, storage of removed soil began in October 2017 after the completion of the soil storage facility. 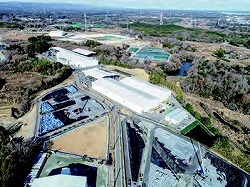 The soil and waste kept in flexible container bags at temporary storage sites throughout Fukushima is transported to the reception/separation facility as is, and after separating other matter such as combustible materials and large rocks the soil is stored in the soil storage facility according to its concentration of radioactive cesium, with combustible materials including plant matter incinerated to ash to reduce its volume. The Ministry of the Environment estimates that approximately 14 million cubic meters of soil and waste has been brought into the ISF (as of October 2018), and expect transportation to the ISF to be complete by the 2021 fiscal year. 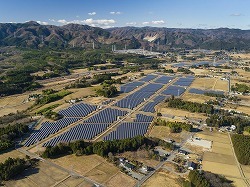 The Tomioka Recovery Mega Solar Power Plant Sakura, located in Tomioka, is a mega solar power plant operated by Tomioka Recovery Energy, a company financed by the City of Tomioka, Fukushima Electric Power, and JR East. 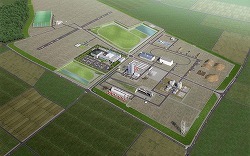 Using approximately 40 hectares of farmland that was unused due to the nuclear accident, the plant began operation in November 2017. Its output of approximately 30 megawatts is among the largest in Japan, supplying enough power for 9100 average households. Fukushima Electric Power is central to the project, and is a renewable energy company established in 2013 funded by Fukushima Prefecture. 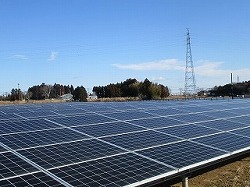 Fukushima Prefecture has the goal of generating at least 100% of the prefecture’s energy needs using renewable energy by around 2040, and Fukushima Electric Power is a driving force in this project, establishing large-scale wind and solar power plants in Fukushima as well as creating employment and contributing to the revitalization of local communities. Mr. Seiichi Suzuki, president of Fukushima Electric Power, said that Fukushima must become a pioneer in renewable energy after having become known worldwide due to a nuclear disaster, and work towards creating a sustainable society that does not rely on nuclear energy. The tour will visit Tomioka Recovery Mega Solar Power Plant Sakura, which has around 110,000 solar panels, and hear an explanation from Mr. Suzuki. 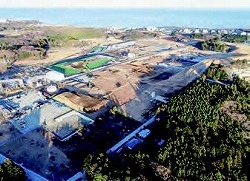 The Fukushima Innovation Coast Scheme is a national project to build a new industrial base along coastal region of Fukushima to aid the recovery of the industry and employment lost in the region due to the Great East Japan Earthquake and nuclear disaster. 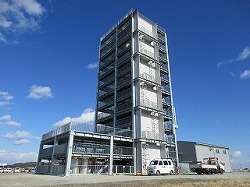 One of its core projects is the Fukushima Robot Test Field, being carried out by Fukushima Prefecture in Minamisoma and Namie. 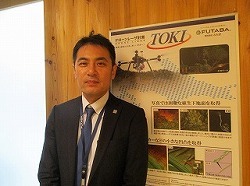 Mainly for land-based, underwater, and aerial field robots (including disaster-response robots, underwater exploration robots, and drones used for distribution, infrastructure inspection, disaster response and more), the test field is a research and development base the likes of which the world has never seen, in which researchers are able to conduct R&D, demonstration tests, performance assessments and operation training in simulated environments very similar to the environments in which the robots would actually be used. Starting with the opening of a communications tower with functions to ensure safe drone flights in July 2018, different facilities have been opening. A “test plant” is planned to be opened before April 2019, with an interior reproducing the pipes and valves of chemical plants and power plants, so inspections and training for plants during both normal operation and emergencies can be carried out. The tour will visit the Fukushima Robot Test Field, where construction continues, and receive a briefing from a member of the Fukushima Prefecture Robot Industry Promotion Office. 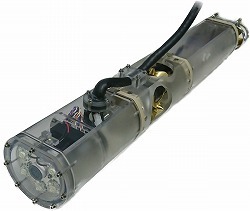 The tour will hear from Mr. Watanabe, who is also vice-chairman of the Minamisoma Robotics Industry Council, and see the underwater exploration robot currently under development before touring the factory. (1) This tour is organized by the Fukushima Prefectural Governmentand, and planned and operated by the FPCJ. (4) Neither the Fukushima Prefectural Government nor FPCJ will be liable for any inconvenience, trouble or accidents that might occur during the tour. (6) This press tour is intended to provide opportunities for news coverage. We request that all participants send a copy of the content of their coverage (article, video, or audio in the case of radio) to the Fukushima Prefectural Governmentand through the FPCJ after their reports are published or aired. When your report is in a language other than English or Japanese, we also ask you provide a summary in English or Japanese. With receiving your application, we assume that you agree to these conditions.